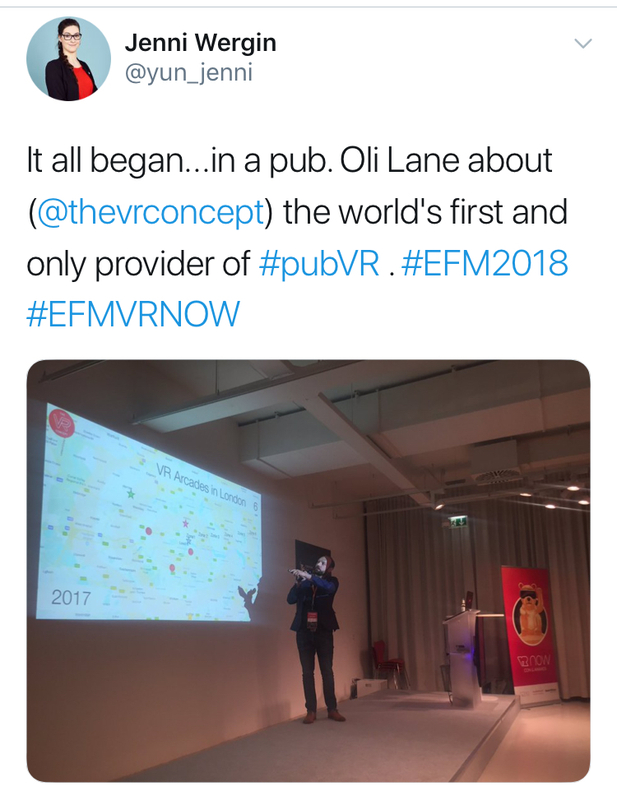 Director and Co-Founder Oli Lane was invited to the EFM VR Now Conference in Berlin, where he gave a talk about how The VR Concept got started and how in only 18 months it has grown to become the UK's biggest chain of VR arcades. Oli's talk covered the founding of the company in 2016, when they were the first VR arcade to open in London, let alone in a pub. 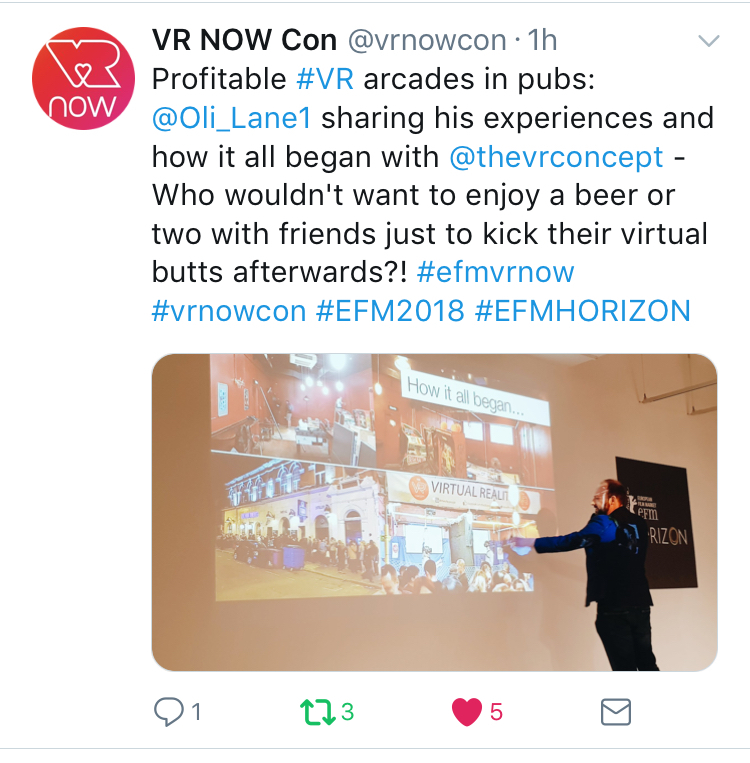 He then went on to describe the unique challenges and some of the solutions to operating VR in pubs alongside the benefits to being part of a whole entertainment destination. "Some of the pubs we're in have seen a 20% year on year revenue growth since we installed VR"
The pubs benefit too - some have seen 20% year on year growth in revenue since the VR was installed. By opening quickly and solving challenges as they went along, Oli explained how he and co-founder Anthony Nixon built their business through focussing on customer experience. They have now developed a significant range of specialised equipment and operating procedures that put them at the forefront of Location Based VR. After only 18months, there are 4 locations open in the UK and with 3 in London, The VR Concept represents 50% of the VR arcades in the UK's Capital. So, what's next in 2018? More locations, more social VR experiences and the birth of focussed inter-pub gaming competitions.